If you want to use solar power for your home, you have options. You may be able to buy or lease a system or sign a power purchase agreement. Your choice can affect how much you spend up front and over the life of the system, whether you get certain tax breaks or not, and your responsibilities when you sell your home. Evaluate the company, product, costs and your obligations before you make a commitment. If you use a solar panel system — also called a photovoltaic or PV system — to produce electricity, you buy less electricity from the utility company and enjoy the benefits of renewable energy. The Department of Energy says most homes with solar panels get at least 40% of their energy from solar; that varies by house. Whether solar power will fill all your power needs depends on how much your system produces and how much you use. If you buy a solar panel system, you may be eligible for tax credits or other financial incentives that offset the initial cost. If you lease or have a power purchase agreement (PPA), you can pay less up front and may have lower monthly payments, but you usually won’t get tax credits or other incentives — the company that owns the system will. Whether you buy, lease or have a PPA, you’ll probably still buy some power from the local utility. Is solar power right for you? Start by reviewing your utility bill to see how much energy you used in the last year and what it cost. See what part of the total bill is for “metered” electricity or kilowatt-hours (kWh) and what is for other items such as delivery costs. Even if you reduce the number of kilowatt-hours you buy from the utility, you’ll still need to pay the utility’s fixed charges, like delivery or administrative costs. Consider how long you plan to stay in your home. 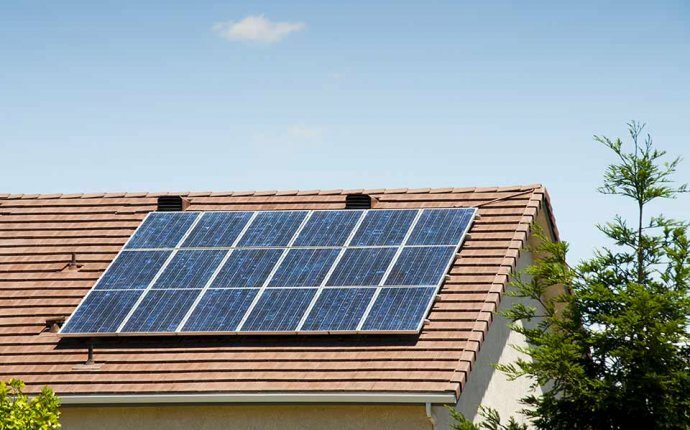 A residential solar system is designed to stay on a home for at least 20 years. Leases and PPAs generally are long term; some last 20 years. If you think you might move in that time, find out how installing a system will affect your ability to sell your house. Ask the solar company about its policy on transferring the contract to the new homeowner after a sale, and confirm that what it tells you is the same as what is in the contract. Figure out what size system you need to meet your average energy usage. Learn about the different products available in your area that will work on your house. The customizable calculator from the Department of Energy uses your address and details you provide about a system to help you estimate how much energy it will produce.